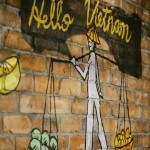 This London-based restaurant is fast becoming known for its fantastic modern cuisine and, in our opinion, rightly so. 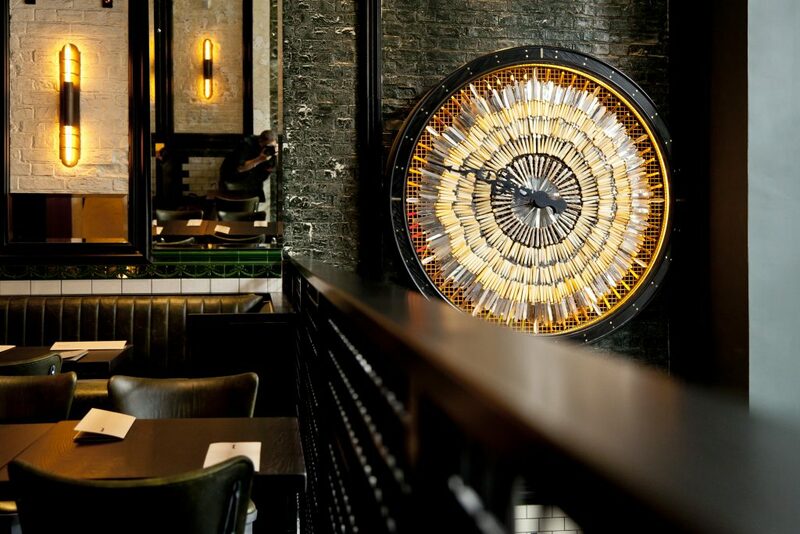 In fact, Tredwell’s was the winner of AA’s 2015/2016 Restaurant of the Year for the whole of London and that is not an accolade to be taken lightly. 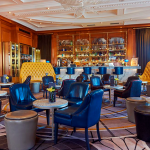 It is fair to say that Marcus Wareing has certainly turned some heads with what is his latest restaurant and, having visited twice, it is easy to see why. British contemporary cuisine is truly celebrated throughout the menu and classic techniques are typically given a twist for that extra layer of excitement. We were excited to be invited back and see the progression of the menu. 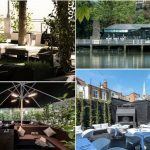 However, we were even more excited to enjoy the new Summer terrace at Tredwell’s, especially on a day which hit over 30 degrees in the Capital. 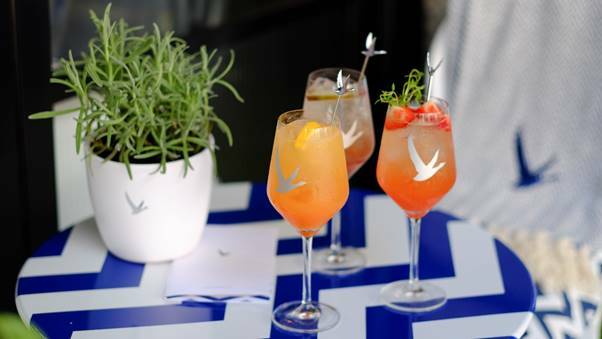 The leading restaurant has teamed up with luxury vodka brand Grey Goose for a Summer themed terrace, with an eye catching décor and bespoke cocktails. 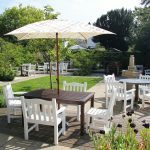 The terrace was bathed in sun on our arrival and the blue and white striped parasols created a mood reminiscent of the Riviera. Classily done and comfortable, this area was a fantastic place to enjoy a drink and to begin our lunch. 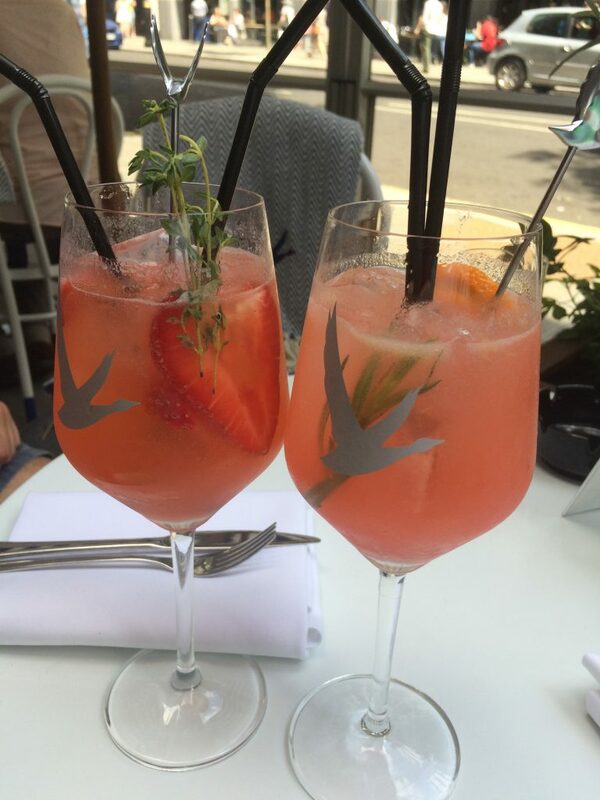 Exclusive to Tredwell’s, and the terrace in particular, you will find a specially created Grey Goose cocktail menu. 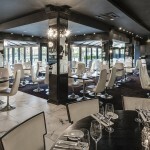 On this concise menu you will find the restaurants interpretation of Grey Goose’s iconic ‘Le Grand Fizz’. 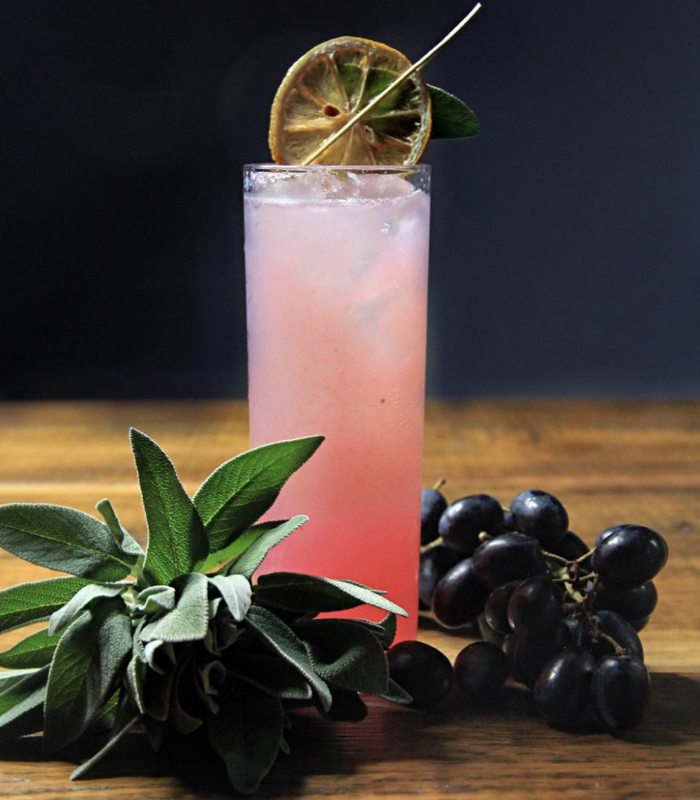 Take a look at a pair of the terrace’s unique Grey Goose “Le Grand Fizz” selection cocktails. We were lucky enough to try the “Le Grand Fizz” with Strawberry (left, including Grey Goose Citron, thyme, elderflower and Jenkyn Place Brut). Plus, the “Le Grand Fizz” with Tarragon (right, Grey Goose l’Orange, raspberry, orange and tarragon). Both were pushing £14 and therefore inhabiting the higher end of your typical cocktail expenditure – but they were completely worth the price. Full of fresh, vibrant and summer flavours, both cocktails were a taste of the Summer season. For us, the “Le Grand Fizz” selection cocktails were the perfect twist on the original and it’s worth a visit to Tredwell’s just to give them a go. It should also be noted that the main restaurant cocktail list is also sublime. The New Fashioned (a blend of Rye whiskey, marmalade and bitters), provided a cocktail with slightly more kick, but equal amount of balance and flavour. Dining at Tredwell’s is a real journey into modern re-conceptualisation of classic techniques and flavours. 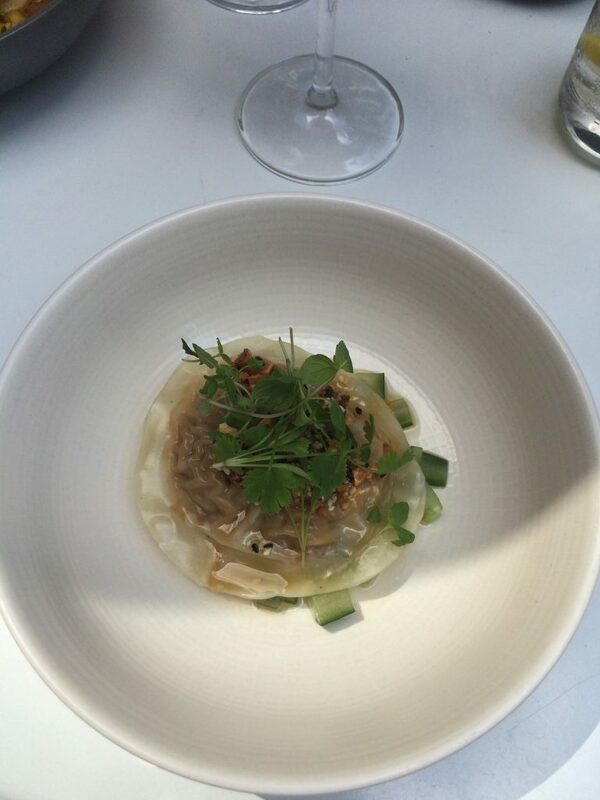 For example, my opening dish was the pulled pork and chorizo ravioli, with a zingy pickled cucumber and hints of chilli. This combination of flavours gave the ravioli contemporary dimensions and we truly enjoyed how much punch this little dish packed. 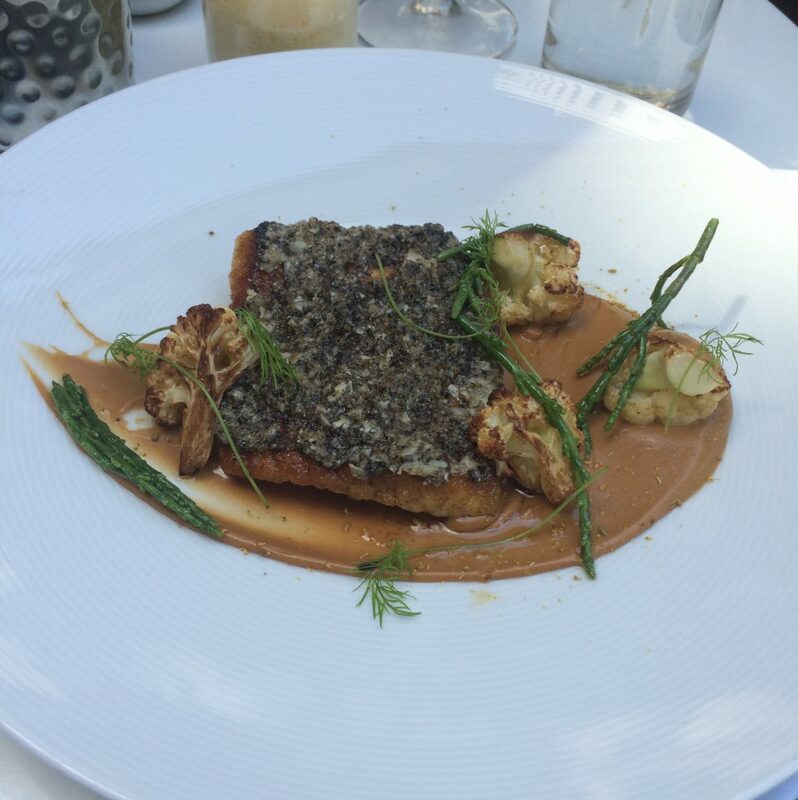 The star of the meal was roasted turbot, with caramelised cauliflower, fennel pollen, samphire and truffle. As you would expect, the samphire here added a saltiness to the dish and this was offset by a sweetness from the cauliflower. When combined together the balance with the rich turbot left taste buds dancing. My favourite dish of the visit, by far. 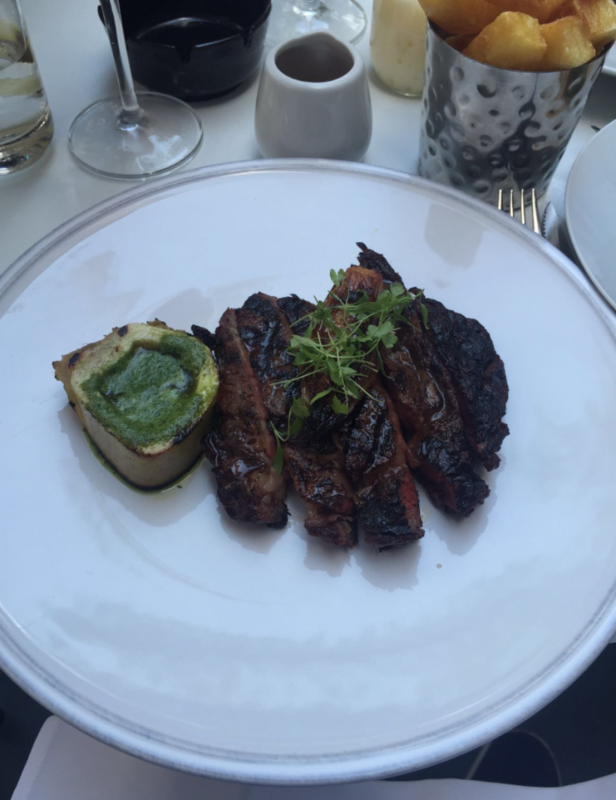 We also were treated to a Lake District 35 days dried ribeye steak (£33). Tender, full of flavour and packed full of flavour, this simple dish was also a hit. Accompanying the dish was a marrowbone, braised shallots and a delectable peppercorn sauce. 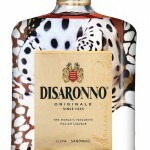 Once again, classic flavours, but elevated and done to a high standard. We love the no fuss, big flavour attitude of this dish. Gin & Tonic Cheesecake anyone? 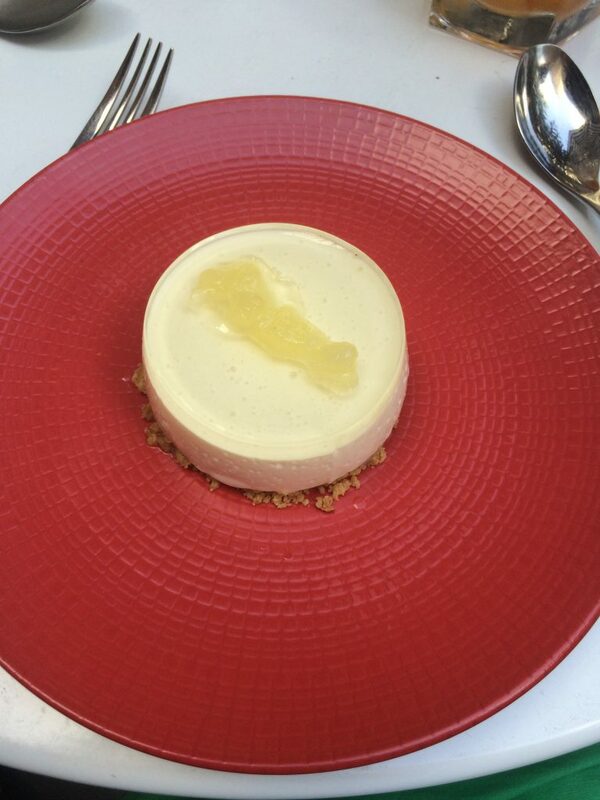 With the weather as hot as it was, we sampled the Gin & tonic cheesecake (£6.5) for dessert and we were not disappointed. The cheesecake element embodying the freshess of a gin & tonic, whilst also retaining that distinctive gin kick. Refreshing, light and the perfect end to a summer lunch at Tredwell’s. From £22 you can also have 2 courses from Tredwell’s delicious fixed price lunch menu. We would highly recommend this, as it offers great value, a broad selection of options and also some fantastic dishes from the main menu at a small supplement. Find out more about Tredwell’s or make a reservation here.